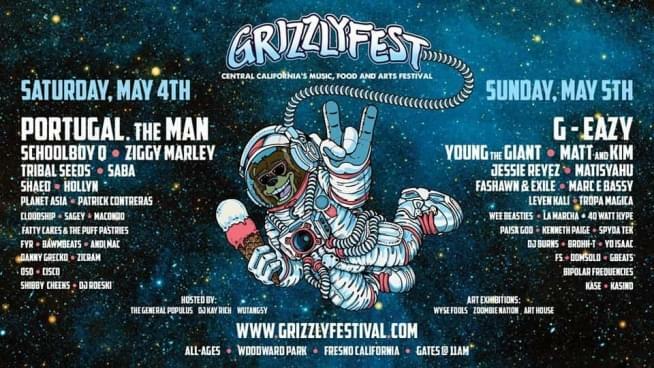 Y101 has your chance to score a pair of Saturday-Only general admission wristbands to attend Grizzly Fest, featuring Portugal The Man and many more when the festival comes to Woodward Park on May 4th and 5th. Listen for your chance to win tickets to see Portugal The Man perform at Grizzly Fest on Saturday, May 4th. Gates open at 11:00am. When you hear the cue to call, pick up the phone and call the Y101 Studios at 1.800.345.9101 and you could pick up a pair of Saturday Night general admission wristbands to see Portugal The Man and many more at Grizzlyfest courtesy of Today’s Best Music … Y101 FM! For another chance to win tickets to Grizzlyfest, register below! Tickets are on sale now! Tickets and information available online at GrizzlyFestival.com.